Transformation phrase: Regenerator Power, Make Up! Attack phrase: Regenerator Order: Dust to Dust! Alex is a result of the Vatican’s regenerator program. She was embedded with advanced healing abilities, which allow her to close gunshot wounds within minutes. Also, a deep mistrust of vampires and a hair-trigger temper. Shipped off to England to get an education at a private Catholic institution, she quickly got expelled for fighting. Though Alex hasn’t gone hunting since getting that scar on her cheek, her skills are as sharp as ever. Her tendency to be over-the-top, especially when it comes to her most deeply held beliefs, can be abrasive in person, but it helps in a fight. She doesn’t make friends easily, but she will fight tooth and nail to protect the ones she has. Alex’s independence means that she often clashes with Integra, especially on the matter of the masked vampire. Nevertheless, she does genuinely admire her leader’s strength and courage. And her loyalty, once earned, runs deep. 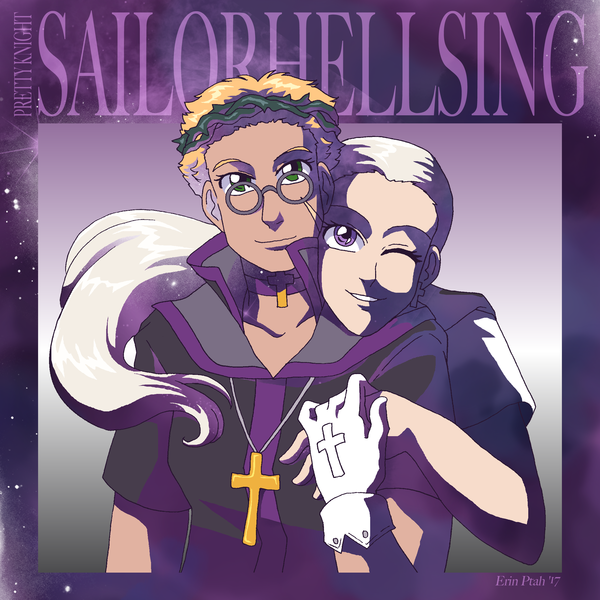 As Ultimate Sailor Regenerator, she gets a new set of plant-based powers and wields Helena’s Nail, one of the Three Holy Relics.